Timothy Judge’s research focuses on the effects of personality on organizational behavior. He specifically concentrates on the five-factor model of personality and the influence and impact of “positive self-concept” in the workplace. As an scholar in the field of organizational behavior and human resources, Judge’s research affects the general academic dialogue on self-esteem in the workplace. “Perhaps no concept in psychology has been as misused and misunderstood as self-esteem, and I hope that my work on self-concept at work helps inform that debate,” Judge says. Judge’s current line of research investigates the toll positive self-concept may take upon high achievers. He is working on a study that shows that while individuals with a positive self-concept have various life advantages (higher income, higher occupational attainment), these accomplishments may come at the price of reduced longevity. He has also made crucial contributions related to staffing and job choice, conducting numerous studies investigating the effect of person-organization fit on the recruiter’s and job applicant’s decision-making processes. Judge ranks first in the nation for research productivity in organizational behavior journals over the past decade, outranking many scholars decades older than he. In 2006, he was inducted as the youngest Fellow of the Academy of Management, an honor limited to the 200 most eminent scholars in the field of management. 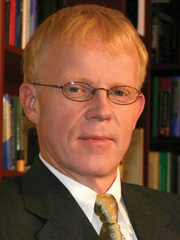 He is also a Fellow of the American Psychological Association and the American Psychological Society.